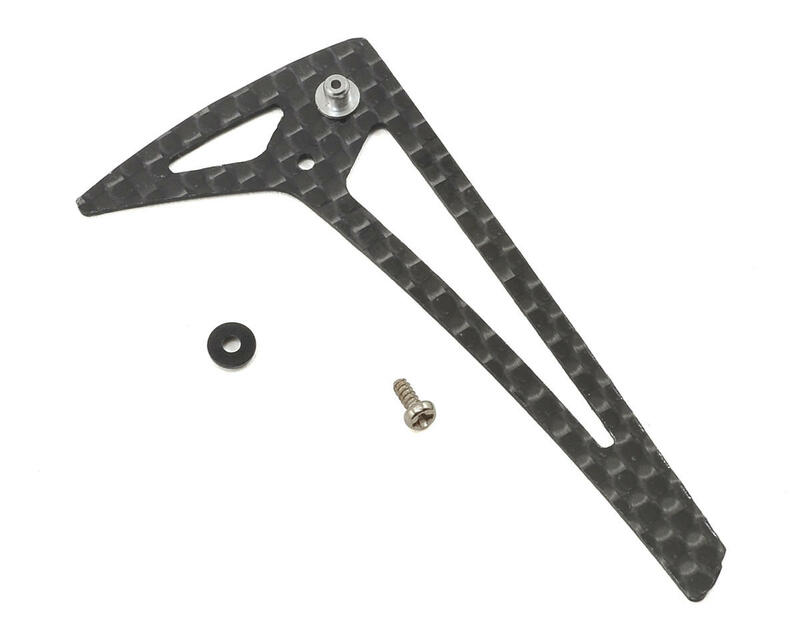 This is an optional Lynx Heli Carbon Fiber 3D Vertical Fin. 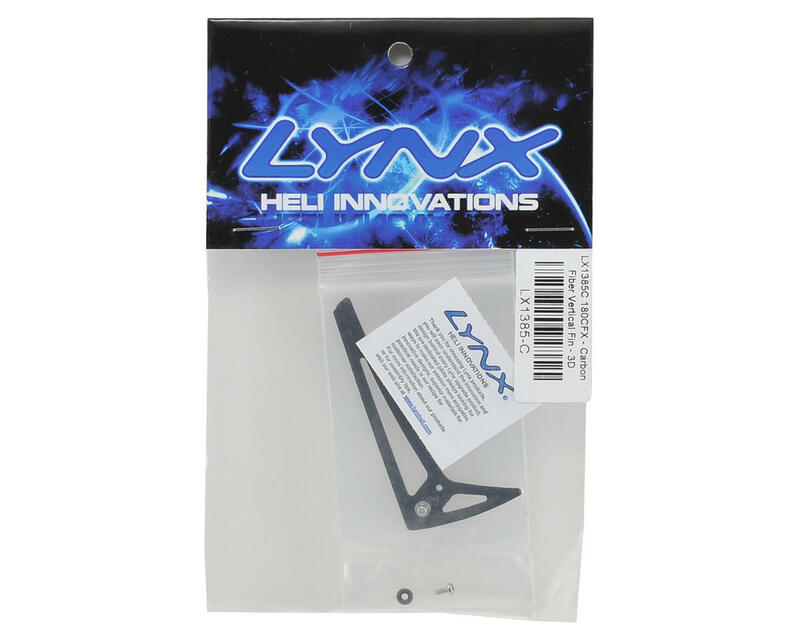 Using specific airflow based software (the very same used for the highly popular Lynx Turbo Fan), Lynx has tested and determined that the airflow efficiency of a standard, stock fin could be greatly improved. With this design, not only does the fin look better, but its a design that functions very well within the realm of RC helicopter flight. Thanks to the Lynx design and pilot team, they have made this design possible, allowing an increase in overall tail rotor efficiency, and also providing bright colors that look great and aid in orientation throughout aggressive 3D maneuvers. Allows less air drag, less airflow turbulence, and greater tail rotor efficiency & performance.